Founded in 1996, Alison Brooks Architects has developed an international reputation for delivering design excellence and innovation in projects rang­ing from urban regeneration, master planning, public buildings for the arts, higher education and housing. ABA’s award-winning architecture is born from intensive research into the cultural, social and envi­ronmental contexts of each project. Our approach enables us to develop authentic, responsive solutions for our buildings and urban schemes, each with a distinct identity. Combining formal invention with rigorous attention to detail, ABA’s buildings have proved to satisfy our clients’ expectations and positively impact the urban realm. Our approach has led us to win national and international awards including Architect of the Year and Housing Architect of the Year 2012. In 2013 ABA were shortlisted for the RIBA Stirling prize for Newhall Be. The scheme also received RIBA regional and national awards and was Supreme Winner at the 2013 Housing Design Awards. 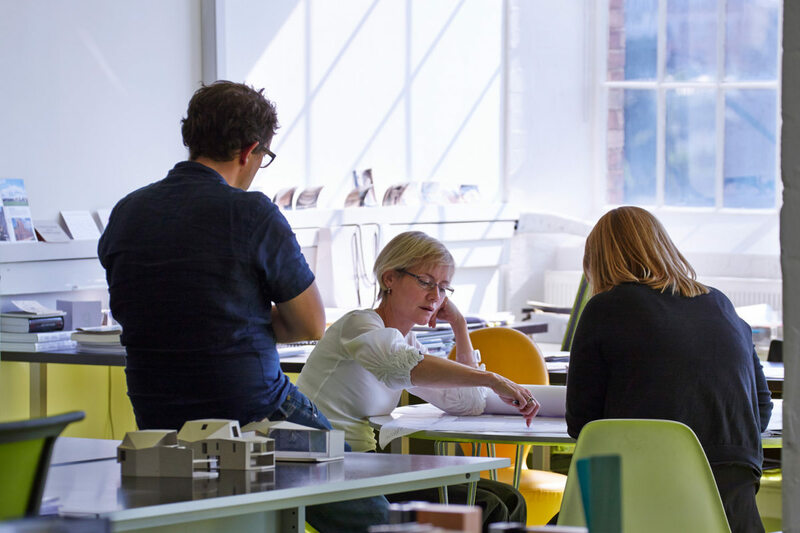 Alison Brooks Architects is the only UK practice to have won the RIBA’s three most prestigious awards for architecture – the Stirling Prize for Accordia Cambridge, the Manser Medal and the Stephen Lawrence Prize. Alison Brooks was awarded AJ Woman Architect of the Year 2013. With an expanding portfolio of higher education and arts buildings, ABA is delivering a £28M campus for Exeter College at Oxford University, won in international competi­tion. ABA has produced a £135M masterplan for the University of Northampton’s Avenue campus and the £100M masterplan for the Dollis Valley Estate Regeneration. Landmark public buildings include Quarterhouse Performing Arts Centre, recipient of a RIBA Award and 2010 Kent Design Award for Best Public Build­ing. ABA has a growing international presence with the practice’s work published worldwide. Selected for the 2010 Audi Urban Future Award, ABA’s ‘Kaleidoscope City’ project for future urban mobility was exhibited at the 2010 Venice Architecture Biennale and in the 2011 New York Festival of Architecture. The practice has been published widely and ABA buildings have twice featured in the Phaidon Atlas of Contemporary World Architecture. Alison Brooks Architects are ISO 9001 credited. To view our Quality Assurance Statement, click here.